With the SirMixABot cocktail creator utilizing stepper motors for power, it is time to design the power distribution for the vertical drink actuator. As always, reliable, affordable, and easy to use parts are preferred. With the base knowledge that a drive rod would be used to guide the drink actuator, two connections had to be determined. First, how to connect the drive rod to the base-mounted stepper motor. And second, how to connect that drive rod to the upper drink actuator. After comparing off-the-shelf parts versus self-designed pieces, a pair of solutions was found. Here we take a closer look at what made it onto the robotic bartender. There are two stepper motors in the automated bar. The first powers a belt drive, moving the drink platform horizontally. The second is fixed to the lower drink platform, and is connected to the drive rod. This solution requires a tight tolerance for vertical sway but cannot be completely rigid. As the cocktail creator moves up to compress the liquor bottle pourer the assembly flexes slightly. An affordable, durable piece meeting these requirements is a flexible coupling. Available with different inlet and outlet sizes, and tightened using an allen key, finding one to fit SirMixABot’s needs was a breeze. As an added bonus, the brushed aluminum looks great in any build, and definitely looks great here. 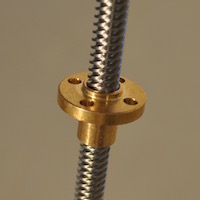 With the vertical rod powered, a low friction, reliable connection to the upper drink actuator is next. The size of the drive rod considers possible matching drive nuts. Vertical supports are used to provide much of the lateral support and guidance, but the nut still has to be strong despite its small size. 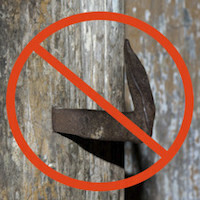 Following these considerations, a brass nut was selected. 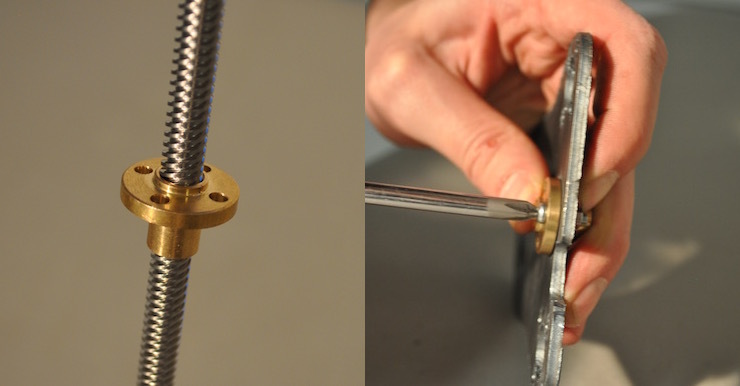 The friction coefficient is so low the nut can guide itself down the rod under its own weight. 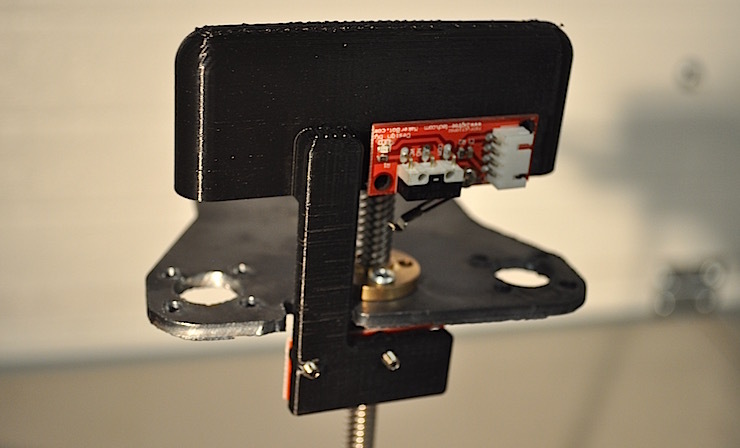 And with the actuator assembled and connected it doesn’t add any resistance to the vertical motion. 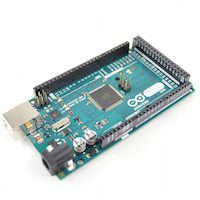 Everything is assembled and connected, and it’s time to boot up the SirMixABot cocktail app and order a drink! The vertical drivetrain of the cocktail creator is designed for sustained cocktail pouring pleasure. The combination of aluminum, brass, and 3D printed pieces highlight the components and enlighten every creation. 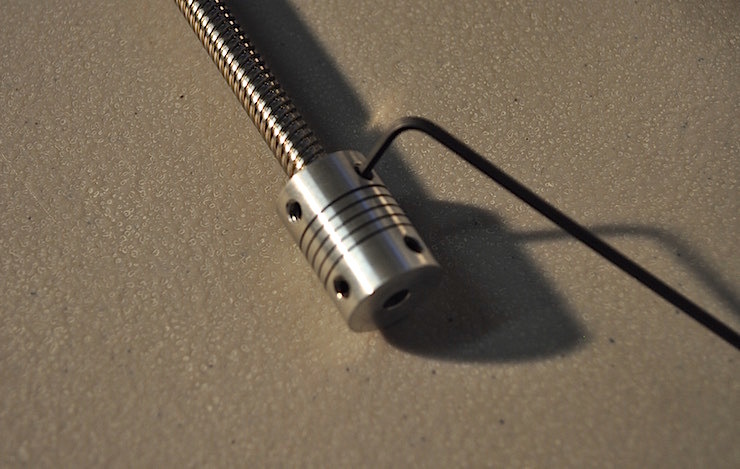 The use of standard size parts also allow easy redesign of the custom pieces, as mounting and fixing are simple. The steel actuator and 3D printed upper rail guide have been re-designed, re-cut, and re-printed multiple times, but the drive rod, nut, and motors have remained. 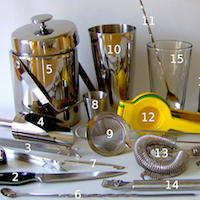 In the end, the SirMixABot changes your disorganized liquor cabinet into a fully-functional robotic bartender. Get a glass ready and place your order!